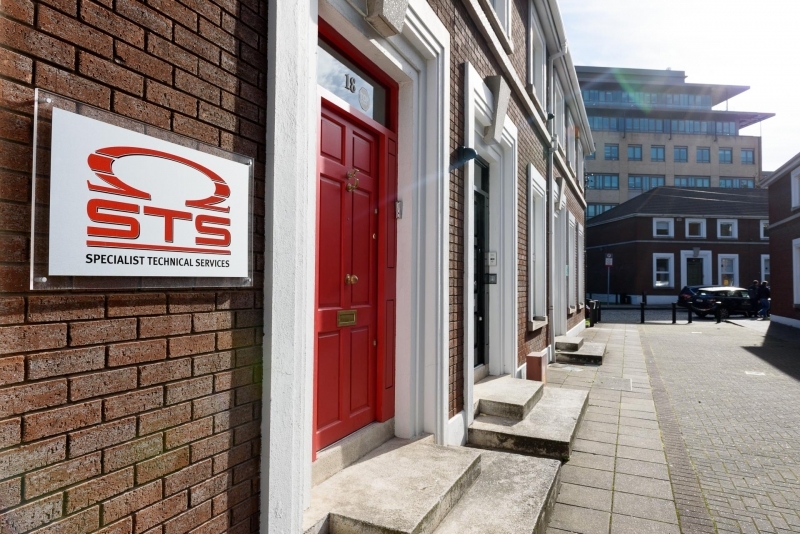 STS – Specialist Technical Services is dedicated to being the best and most cost efficient provider of electrical engineering as well as instrumentation services in Ireland, the UK and Europe. Established in 2007, it quickly broadened its scope to become a full-service provider to world renowned brand names in the pharmaceutical, Data Centre, Utility, Healthcare, Transport and other industry sectors. STS Group have expanded our European partner network to include D&V Engineering in Belgium, allowing us to work more closely and effectively with clients and consultants in Belgium and Europe. In 2017 STS opened their offices in Manama, Bahrain. STS Buhindi now works with multiple clients on their projects throughout The Middle East. We are a flexible, highly experienced full-time team of professionals, some of whom have up to 40 years’ experience on major projects all over the world, STS is a full-service, lean and target-focused operation – with minimal overheads, leading technology and a track record of delivering complex projects to the highest standards, on time, in-spec and within budget. Its number one asset is its people who with an international portfolio of quality completed contracts. The STS team has a full spectrum of experience, innovation and technical excellence, which enables the company to combine quality and cost effectiveness in the timely execution of large, complex projects. As founder and managing CEO of STS Group, Eddie personally leads a highly-motivated, qualified and experienced team. For all clients he guarantees standard of work, the quality of the executed project and the fact that if a client needs to talk to him, he is there to underwrite what STS says it will do. As Director of the operations and contracts division in STS Group, Richie has over 25 years experience in project management, execution and delivery in industry sectors including bulk pharma, bio-pharma, commercial, data centres, transport and general industry at international level. As Director of project planning for STS Group, Shane brings his extensive experience in Quantity Surveying, QA/ QC and expert Project Planning knowledge and delivery in the electrical engineering industry to the company, ensuring that all STS projects are completed safely, on time and within budget. Terry is responsible for finance and administration in STS. He has worked in the construction industry for 20 years in Ireland and mainland Europe as a finance director. Terry has extensive experience in risk management, project financing and project controls. As Director of Business Development for STS Group, Liam brings 25 years experience and extensive knowledge of the business. Liam’s experience includes project management, execution and delivery in industry sectors including bulk pharma, bio-pharma, commercial, data centres and transport and at international level. John has over 15 years’ experience in project cost control from the initial tender analysis stage to the submission and agreement of final accounts. John’s responsibilities in STS includes for project budgets, procurement management, tender process management, construction handover to the site team and the management of contract legal requirements. Tim brings over 20 years experience in the industrial electrical sector to STS Group. As Quality Manager he is responsible for insuring our clients quality requirements are constantly achieved through the control, monitoring and supervision of all quality related activities. With over 16 years of experience in the international construction industry, Paul ensures STS Group’s compliance with all current legislation, regulations & best practice in relation to health and safety in the workplace. Paul manages and controls STS sites across Ireland, UK and mainland Europe, with responsibly for over 500 employees and numerous subcontractors in the supply chain. Paula brings over twenty years’ HR experience to STS Group, with her primary skills lying in recruitment and selection, Industrial and Employee Relations, Performance Management, Training and Occupational Guidance. Paula is a member of Chartered Institute of Personnel & Development (CIPD). People are the main factor in the continued success of the company and are our most valuable asset. STS continually strives to empower its people to be the very best they can be. We recognise the need and importance of continually training and up-skilling people and support our employees in achieving this objective. Our well-equipped dedicated training centre at our Waterford city headquarters provides facilities for continuing professional and career development.